Well, as we say in English, it never rains but it pours. 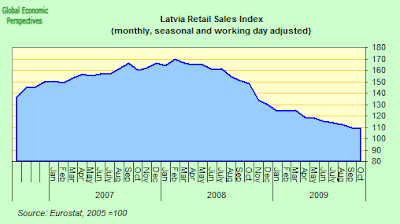 Latvia, which has had the deepest recession of all 27 European Union member states, contracted by nearly 18 per cent in the fourth quarter of 2009. 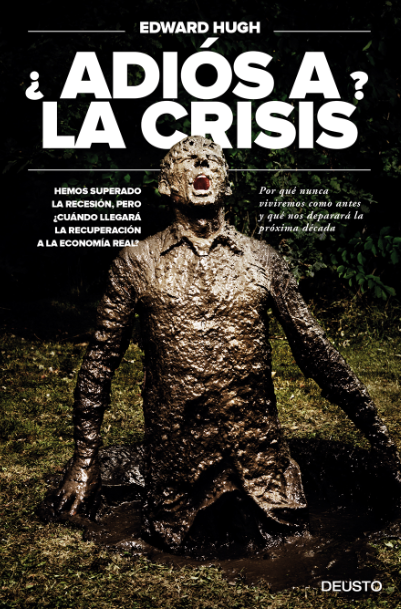 'Compared to the same period of 2008, gross domestic product (GDP) value has decreased by 17.7 per cent,' according to the national statistics office statement. The fall was led by a 30-per-cent annual drop in the retail sector. Retail sales are now down by 36% from their April 2008 peak and there is little sign of any turnaround at this point. Industrial output, which rose slightly over the quarter, fell back again in Deecember (by a seasonally adjusted 4.2%) following a sharp rise in November. Output is still down more than 17% from the February 2008 peak. 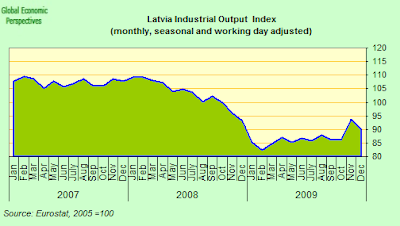 Latvian exports were down again in December, making for the second consecutive monthly fall. Despite all the fuss about internal devaluation the CPI was only down by 3.1% in January over January 2009. Prices are still far from being competitive, and no early rebound in export growth is to be expected. 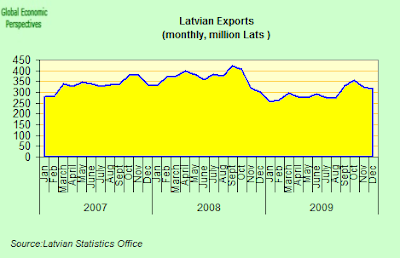 Over 2009 as a whole exports - at 3,571.6 mln lats – were down over 2008 by 19.4%, but imports - at 4,633.7 mln lats – fell even further, by 38.4% which is why the trade deficit reduced substantially, but note there was still adeficit. The deficit fell from 225.3 mln Lats in January to 69.7 mln Lats in December. Over 2009 as a whole foreign trade turnover totalled ay 8.2 billion lats, a drop of 31 per cent when compared to 2008. Unemployment hit 22.8% in December according to Eurostat data, the highest in the European Union. And even that famed "internal devaluation" seems to be working hellishly slowly. 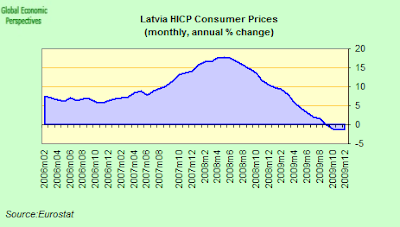 As I say, prices were only down by 3.1% in January 2010 over January 2009 (and probably even less on the EU HICP measure) according to the latest data from the Latvian statistics office. 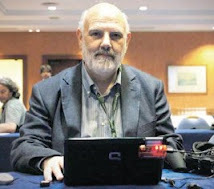 Even the statistics office statement that GDP actually grew by 2.4 per cent compared to the third-quarter offers cold comfort, since this data is not seasonally adjusted, and the economy will almost certainly be back down again in the first quarter of 2010. 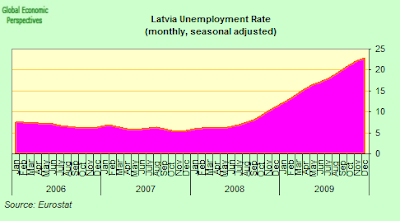 Meanwhile the consequences of this strong recession in Latvia - more and more Latvians are leaving in search of work elsewhere, while fewer and fewer young people feel confident enough to have children (see chart below) - will leave a long scar, which will be hard to heal, and which make the long term future and sustainability of the country even more uncertain. 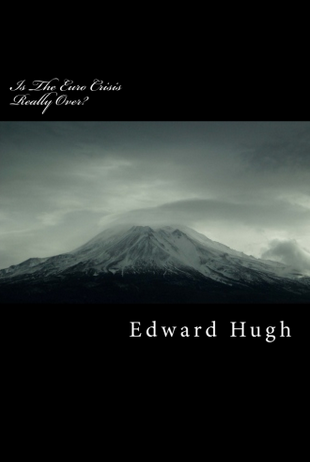 As the Washington based CEPR argue "the depth of the recession and the difficulty of recovery are attributable in large part to the decision to maintain the country’s overvalued fixed exchange rate, because it prevents the government from pursuing the policies necessary to restore economic growth". Maybe next time someone will learn the lesson before tragedy strikes, and not afterwards.